Nestled deep into the east of England, you’ll find Norwich and the Norfolk Broads. A long weekend here will provide the perfect mix of relaxation and outdoor pursuits, as well as a spot of shopping and sightseeing. 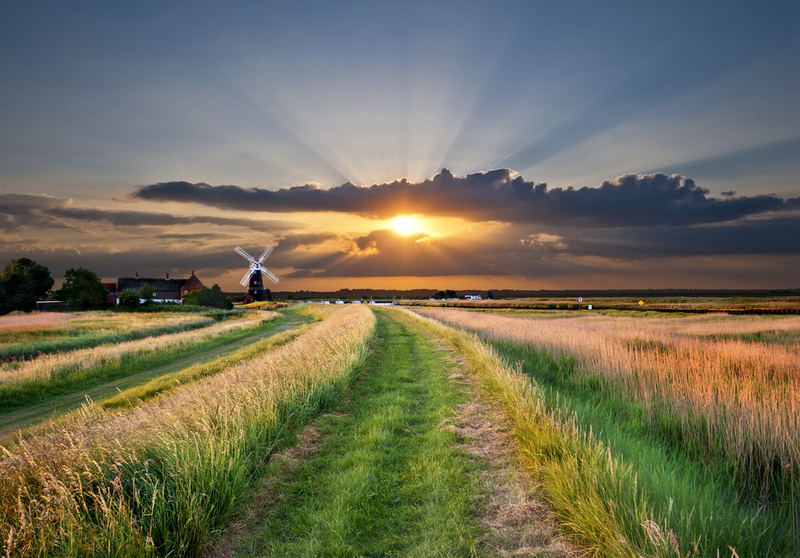 We’re here to provide you with the top 4 fun things to do in Norwich and the Norfolk Broads, as well as the best campsite for you to pitch it! A trip to Norfolk is not complete without boating on the Broads. The Broads National Park consists of a network of rivers and lakes in the counties of Suffolk and Norfolk. This winding network is the third largest inland waterway and the only British Wetland national park. Take an afternoon of your trip to cruise, sail or row through the various landscapes, with the opportunity to stop at one of the idyllic market towns, villages or riverside pubs. There are lovely monuments to visit in Norwich, such as Norwich Cathedral and Norwich Castle. Norwich Cathedral is an impressive 131 metres long and 54 metres wide, making it the largest building in East Anglia at its completion in 1145, built entirely from limestone shipped over from Caen. Norwich Castle was built at the turn of the 12th century and in 1894 became the Norwich Museum. The museum offers models, multimedia exhibits and tours up to the battlements all the way down to the dungeons. When kids hear ‘national park’, the result is often an eye roll or groan. But your trip to the Broads will change that completely. At Bewilderwood, you’ll find a huge adventure park filled with family fun and outdoor adventure. The kids will be exhausted from exploring the treehouses, zip wires, jungle bridges, boat trips and more! Alternatively, there is also Pleasurewood Hills, which advertises itself as a great day out with the whole family. It contains over 35 rides, shows and attractions, ensuring something for everyone! Now that you’re up to date on all the fun things to do in Norwich, it is time to look at where to stay! At the family-friendly Highgate Farm Caravan Park & Campsite, you’ll be warmly welcomed. Highgate Farm is situated a mere 15-20 minutes from Norwich, so day trips to the town will be so convenient. But the distance will allow you to escape the bustle from the cobbled streets and truly unwind in the evenings. The grassy pitches are well spread, and sheltered by trees and shrubs, ensuring privacy and comfort for all guests. Norfolk is known for its fertile lands, farming Sheep, Pigs and even free-range turkeys from Godwick, who supplies the Queen! Now that you’ve got a plan for your days, and a place for your nights, your trip to Norwich is almost complete! We say almost because you’ve still got to find your motorhome to take this trip Waterland. But have no fear, Goboony is here. Find your perfect motorhome in a few short clicks.